School’s over. The NHL season’s over. The NBA season’s over. We’re nearing the dog days of the MLB season. New York City feels like a sauna. Yep — it’s summer. For more information on summer concerts, check out our previous blog posts Everything You Need to Know about Summer Concerts and Upcoming 2011 Concert Tours. 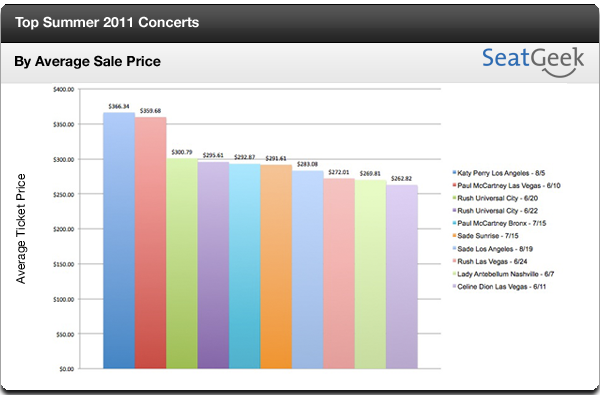 Make sure to keep checking back for more information about concert tickets in summer 2011. 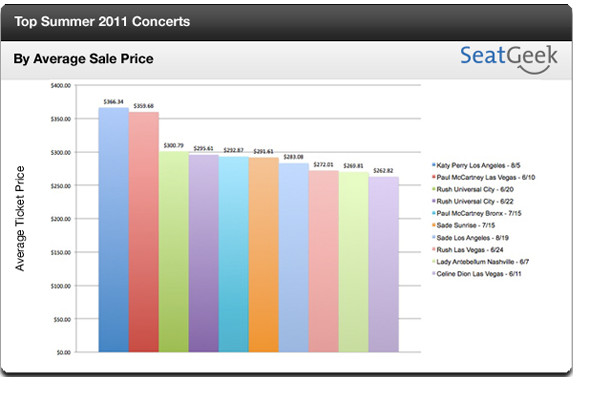 If you want to see how concerts stack up against other events, check out our comparison of the most expensive tickets by event-type.